Belzebuub is the spiritual name of Mark Pritchard, an author with over 45 years experience of personal spiritual exploration. As well as his own personal spiritual practice, Belzebuub has spent 25 of these years explaining spiritual concepts and practices to others all around the world. in 1999 Belzebuub founded an organization called The Gnostic Movement in order to pass on techniques for developing consciousness and walking the spiritual path. This information was first spread widely by Samael Aun Weor, then by his close student Rabolu. Belzebuub was Rabolu’s student and continues the lineage they began. Mark states that his spiritual name Belzebuub is the eternal name of his consciousness, which was revealed to him at a certain stage on the journey to enlightenment. He explains that everyone’s consciousness has an eternal name which can be uncovered with the right kind of spiritual work. Out of principle, Belzebuub teaches freely, operating solely on donations, and has done so since the beginning of his spiritual journey. 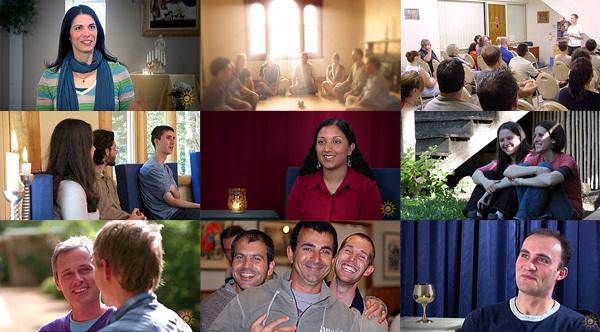 The Gnostic Movement operated on these same principles by running courses, workshops and retreats freely or at cost. Belzebuub has made over 70 media appearances on radio and television internationally, including numerous appearances on the BBC. Sound files of some of these media appearances are available on iTunes, SoundCloud, Stitcher, and Player.FM. 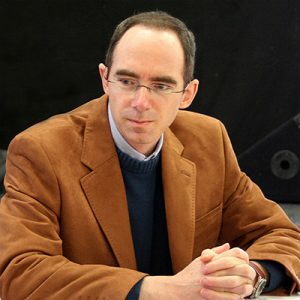 He has also appeared as a panelist alongside leading academics, discussing topics such as the reality of out-of-body and near-death experiences and the Gospel of Judas. Belzebuub also created many educational videos which were made available for free to anyone who was interested. Some of these videos can still be viewed on his YouTube and Vimeo channels. For many years Belzebuub ran free courses with supporting course material online, which were first run in a time when e-learning was uncommon. The content of these courses was later compiled into books, which where provided online in the form of free eBooks. These eBooks had to be taken offline however, due to extensive plagiarism. Since then, Belzebuub’s works have been published for sale as paperback books as close to cost as possible by his publisher, with Belzebuub not receiving any royalties or payments from their sale. The Gnostic Movement first opened its doors to the public in 1999. It was founded by Belzebuub who continued the lineage of modern Gnostic teachers that began with Samael Aun Weor, followed by his student Rabolu. Belzebuub was Rabolu’s student. The Gnostic Movement taught the Gnosis of Samael Aun Weor — elucidated by Belzebuub and presented in a form most accessible for the time — to almost 100,000 people. Belzebuub’s courses were available through The Gnostic Movement in person through study centers and groups in many major cities around the world, and online through free courses that were accessible wherever someone had an internet connection. 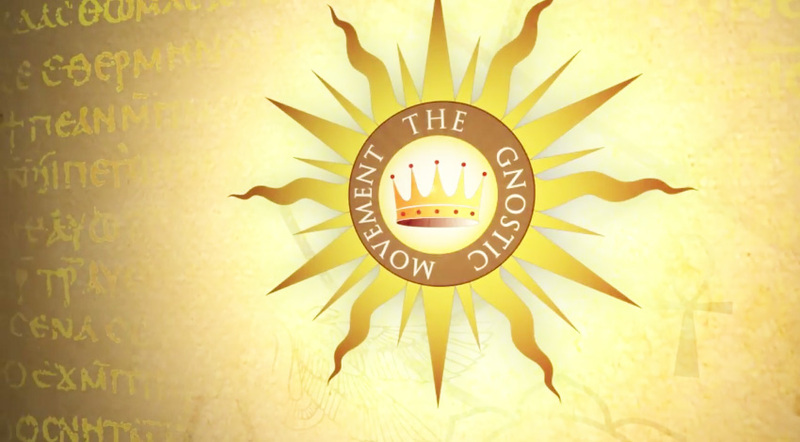 As well as running Belzebuub’s courses, The Gnostic Movement distributed a number of books, ran retreats, workshops and social activities and produced a documentary about the ancient Christian Gnostics, the first of its kind produced by Gnostics themselves. The Gnostic Movement was run by volunteer teachers and members, who had taken the courses themselves, and who then chose to learn how to pass on the information and practices of Gnosis to others. The Gnostic Movement was the scene and catalyst of many long-lasting friendships, amazing spiritual experiences and life-changing explorations into a personal understanding of spirituality. Belzebuub wrote and co-ordinated a series of free courses that were delivered both online and in person through The Gnostic Movement. These hands-on courses revolved around information and practices that would allow participants to gain personal experience of astral projection, lucid dreaming, remembering dreams, understanding themselves, changing inwardly, and of taking the journey to enlightenment. There were many types of practices used in The Gnostic Movement, including exercises for self-knowledge, out-of-body experiences and mystical experiences, however there were only three core practices seen as necessary to be able to progress in a meaningful way spiritually. Because the courses authored by Belzebuub were inherently practical, spiritual and mystical experiences were commonplace. Course participants regularly had amazing astral projection experiences, including travelling to spiritual places, meeting spiritual beings, and even meeting each other beyond the body and later being able to confirm the meeting physically. Course participants also frequently relayed how beneficial the self-knowledge aspects of Belzebuub’s work were, and how what they had learned in Gnosis had given them a renewed purpose in their life. Many of these experiences were recorded on video and are shared on the Courses, Practice and Experiences page. The course material from Belzebuub’s course on astral travel and dreams was first compiled into book form and published in 2004. It has since gone through a number of iterations and refinements until being released in its latest edition as the book to the right of this text. Following a similar outline to the astral travel course, this book originally contained a step-by-step structure of weekly topics, practices and question and answers. 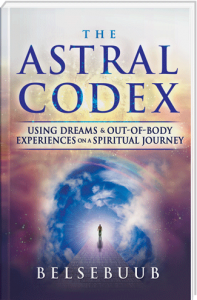 By going through each chapter in order, a reader could learn what astral projection is, how it is related to dreams and near-death experiences and how to best use experiences in the astral for spiritual growth. Beyond this, the book was structured in order that as the reader grew in theoretical understanding about astral projection, they would also be developing the skills required to have their own astral projection and lucid dream experiences. The astral travel book also included a guide to interpreting symbols and numbers in dreams and out-of-body experiences, and shared some experiences from past participants of Belzebuub’s astral travel course. Belzebuub had numerous psychic and supernatural encounters as a child, sparking off a life long spiritual search. In his early years he successfully participated in a psychic experiment run by a national newspaper with famed psychic Matthew Manning, and as a young adult he explored many different types of spiritual groups and practices, as well as travelling internationally and spending time with different communities. In 1990 Belzebuub discovered modern Gnosticism, finding in its practices the most effective form of spirituality he had come across. Over the next decade Belzebuub dedicated himself to practicing what he had learned. He also regularly travelled from city to city in order to explain the information and practices of Gnosis. Eventually he would go on to explain Gnosis across multiple countries and continents. In 1999 Belzebuub established The Gnostic Movement, a non-profit organization aimed at passing on the information and practices of Gnosis freely. Belzebuub was elected as the co-ordinator of The Gnostic Movement, a position he held for many years. He was then elected as the Movement’s spiritual teacher, where he provided guidance on its spiritual direction, while at the same time focussing on producing new material to be published in books and on his website. Belzebuub now works independently, with all the content he produced during The Gnostic Movement freely accessible on his website and social media or available through his publisher and provided as close to cost as possible. Continuing an age old tradition of teaching spirituality freely, Belzebuub has never sold his work for profit or received royalties from the sale of his books, preferring instead that they are accessible to everyone, no matter their financial standing.